and the biggest mistake you can make when visiting is to try to do too many things in a short amount of time. Just go with the flow, and you'll discover that the city's real charm is in the details. 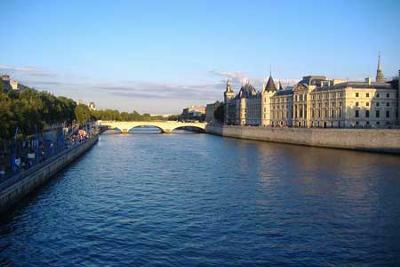 Take a walk along the banks of the Seine in lieu of an expensive boat tour, and browse the antique books and souvenirs sold by the riverside vendors. Young visitors would be well advised to stay in the Latin Quarter or Montparnasse neighborhoods, which some have the most vibrant and youth-friendly nightlife options in the city. The Latin Quarter is also a wonderful place to take in a bit of culture, whether it's a film festival, an antique book store, or a literary cafe. Couples should not miss the Luxembourg Gardens, a beautiful public park known as a romantic rendezvous spot. And don't forget that Paris' public drinking laws are more lenient than America's, so you can enjoy a bottle of wine al fresco almost anywhere. Lastly, you can save a bit of money staying at well-reviewed hostels, but avoid areas like Montmartre if you're concerned with safety late at night.